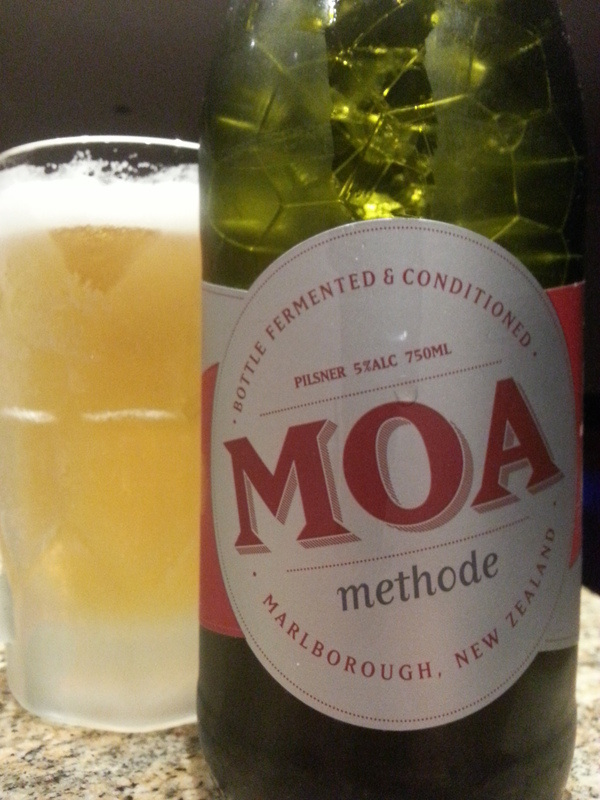 Methode Pilsener – Moa Brewing (Marlborough, New Zealand) | Justintoxicated. Visual: Elegantly foil wrapped and corked, very classy. Pours clear golden pale yellow with a nice-sized foamy head, a good layer of retention, sticky lacing, a plethora of activity. Finish: subtle soft bitter hops, gentle pronounced bitter hopped finish. Summary: Good body for a pilsener, nice mouthfeel and balanced flavours.